Members of Vale of Avon Lodge have really excelled themselves as they are able to celebrate the end of their Tercentenary 300 hours for 300 years project. What started as a response to a plea for 'some help' quickly grew like topsy and became a year long project. At the beginning of December the team finally completed the construction of the viewing platform, complete with wheelchair access which will allow the residents of the Great House to watch the two pygmy goats as they provide them with endless moments of entertainment. Having already built a shelter for the two resident goats which are used in therapy sessions, the team from the Leonard Cheshire run care home asked whether the Lodge would be happy to help them to build a decking area where could view the pygmy goats. After a short pause in which to consider the request it is claimed a Scots sounding voice said "of course we can" as a result the team soon got to work planning and executing the work. 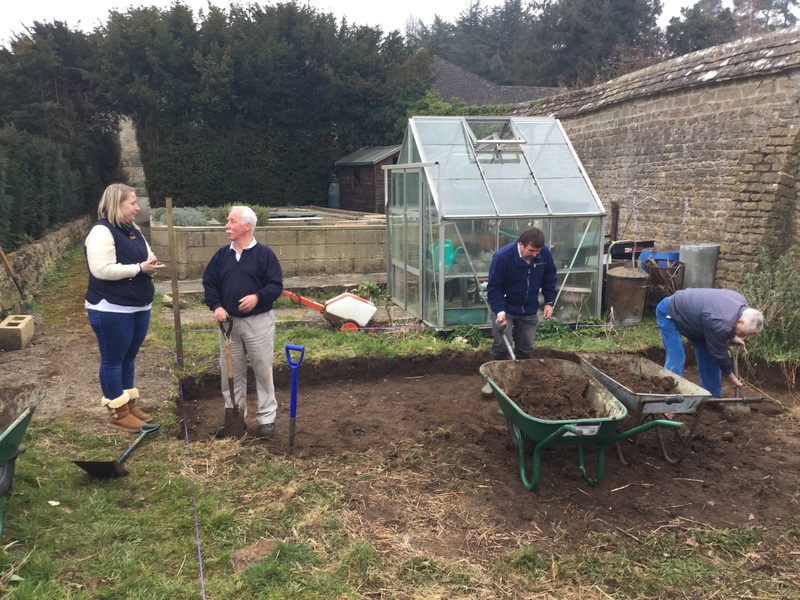 A large compost area had to be moved and the ground levelled off. 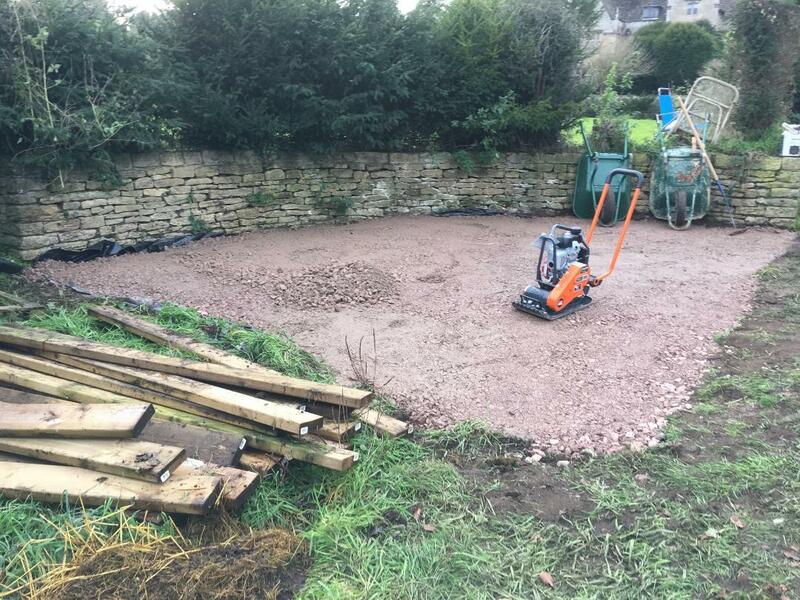 This single task took a couple of months and required many wheelbarrow journeys before the site was able to be surveyed and the team could work out what meterials were required. Rebecca and Jessica from Great House met with the Lodge members to discuss looking for a builder to build the decking although Vale of Avon Lodge would pay for the work to be carried out. (This was important because of concerns about insurance in the unlikely event that there be any problems with the decking causing injuries etc to any of the guests). Local builder Chris Hooper agreed to do the work and encouraged a number of his suppliers to donate some of the materials which would be required. 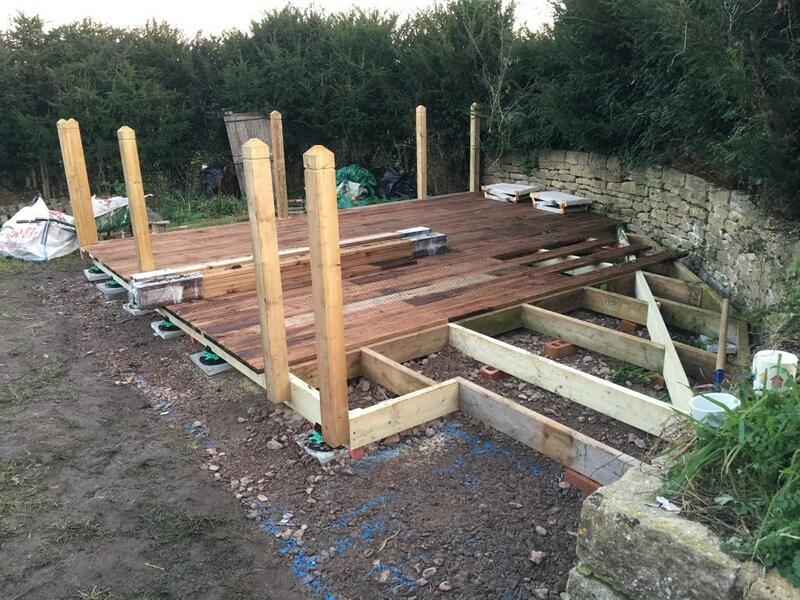 Travis Perkins Ltd donated a digger for a day plus fuel and the timber to build the balustrade around the decking. Prangle & Carey Ltd donated 3.5tons of scalpings. Chris Hooper donated 2 days labour.On 27th and 28th November two of Chris’s men levelled the area and put in the scalpings. 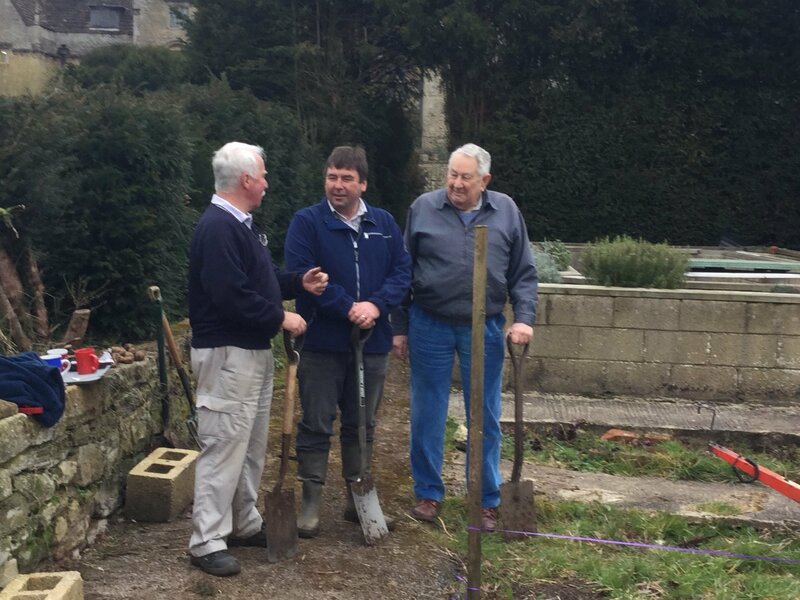 Ian Dunbar, Martin Stringer and Peter Taviner from the Lodge) helped with manual labour by moving soil and scalping. 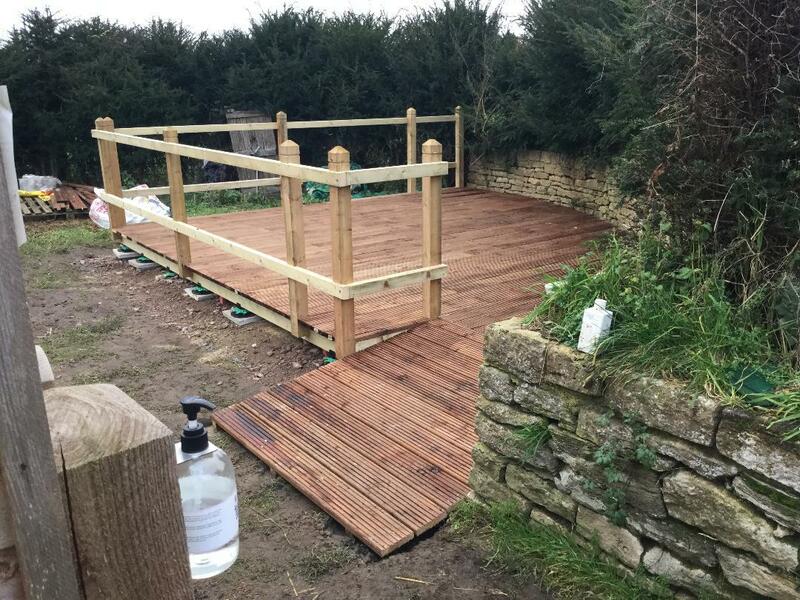 The decking base was then put in place and on 4th December the actual decking planks and balustrade along with the wheelchair ramp was completed. 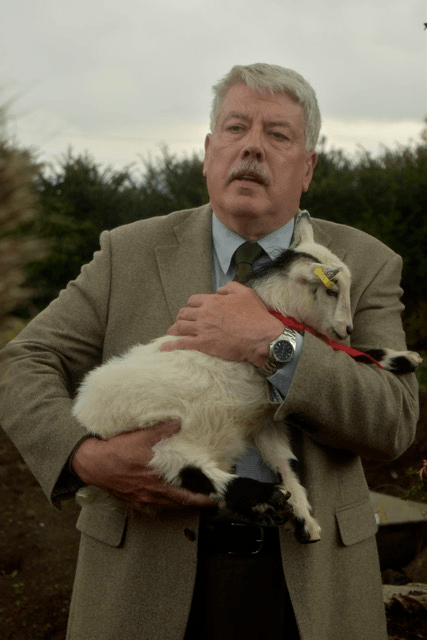 Assistant Provincial Grand Master Stephen Bridge who attended the opening of the goat shelter said "I am simply amazed at what the Lodge family has done, and it clearly was a family effort. Wehn we invited Lodges to particpate in the 300 hours for 300 years initiative we never dreamed that a project such as this would be undertaken. It has exceeded my imagination. Well done Vale of Avon." The 300 hour for 300 years challenge certainly didn't faze W Bro John Connell the oldest member of Vale of Avon Lodge. An avid supporter and volunteer for The National Trust, John was recently awarded with a National Trust certificate for completing five years (700 hours) of volunteering at the beautiful National Trust gardens at The Courts in Holt. Reputed to be one of the finest gardens in England The Courts is well worth a visit but do remember the gardens are closed on Wednesdays. Their maintenance is dependent on a team of volunteers together with three full time gardeners. John also volunteers at the Claverton Pump which was designed John Rennie and is located at the bottom of Ferry Lane, off the A36 at Claverton village. 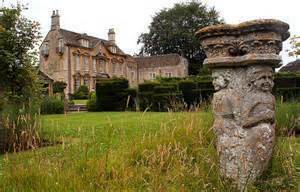 At present Claverton Pump is closed to the public whilst restoration work - which has taken three years - is schelduled to be completed in September 2016 enabling it to be re-opened to the public. It is unique in this country and was built in 1813, powered by a water wheel (18 ft diameter x 12 ft wide) when in operation it pumped about 400 tons water per hour -approx 2.4 million gallons per day - to replenish the level in the canal from the river Avon. This requirement is now met by modern electric pumps but the original pump is of Industrial archaeological interest and its restoration to a working state is being done by a team of about 20 volunteers. The 300 hour for 300 years challenge has been cheerfully embraced by members of Vale of Avon Lodge No. 8432 which meets in Chippenham. 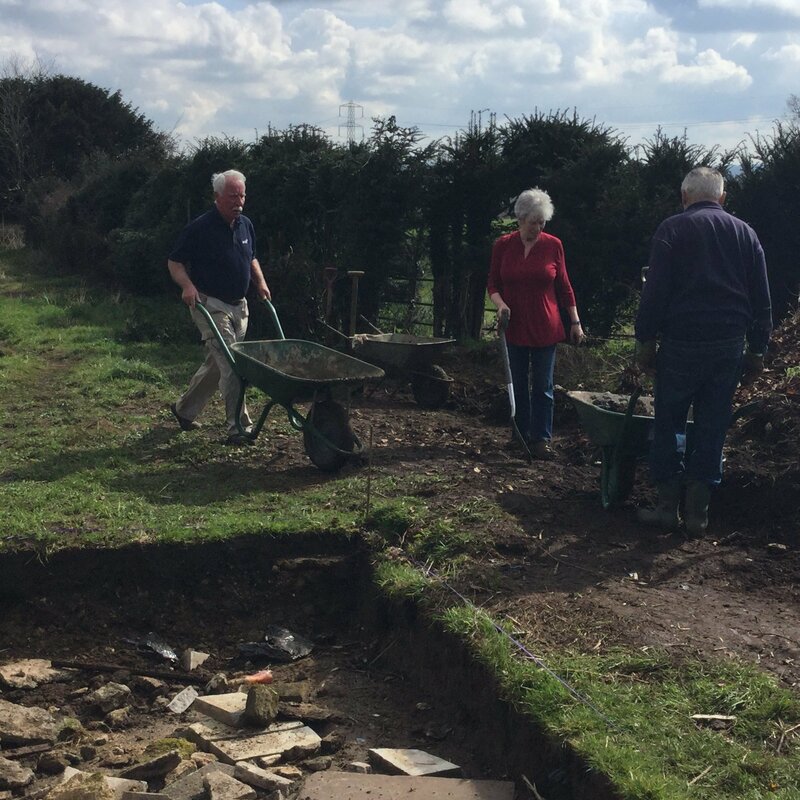 Bro Peter Taviner has contacts at St Nicholas Special School, and with the Great House Leonard Cheshire Home where volunteers were always required (and welcomed) to help in maintaining their extensive grounds. Initial contact was made with Crystal, the Manager at Great House with a tentative "what can we do to help". It seemed that they wanted to convert an area of the grounds into an enclosure for two pygmy goats - the word pygmy and the number two suggested a fairly 'small' enclosure and so it was the team volunteered their support. In the meantime, a very, very large compost area has had to be moved from the goat enclosure to the bottom of the garden. Moving the heap has so far taken more than 20 hours and still has about another 80 hours to go! Once the compost has been moved, the area is to be decked so that clients can sit in their wheelchairs in the fresh air and watch the goats. When the concrete base has set, the Lodge members will erect the shed, adapting it to include windows and a stable door. It may then have to be painted. Once the enclosure is finished, we have been asked to work in the arboretum which includes a lake, clearing it so that clients can enjoy that area too. This work is a long term project for Great House and which we as a Lodge will continue to support over the coming years. 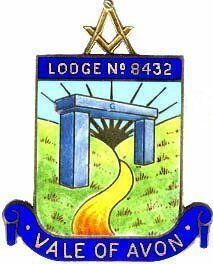 On 24th October, the Vale of Avon Lodge No. 8432 joined Lansdowne Lodge of Unity No. 626 at a joint Ladies Evening held in the delightful surroundings of the recently refurbished Chippenham Golf Club. With Brethren and their wives travelling from as far away as Birmingham, and others from the Unitary Authority of Swindon, the evening could not fail to be a success! The end result – apart from widespread enjoyment – was that in excess of £1,100 was raised for charity, shared equally between the two Lodges. 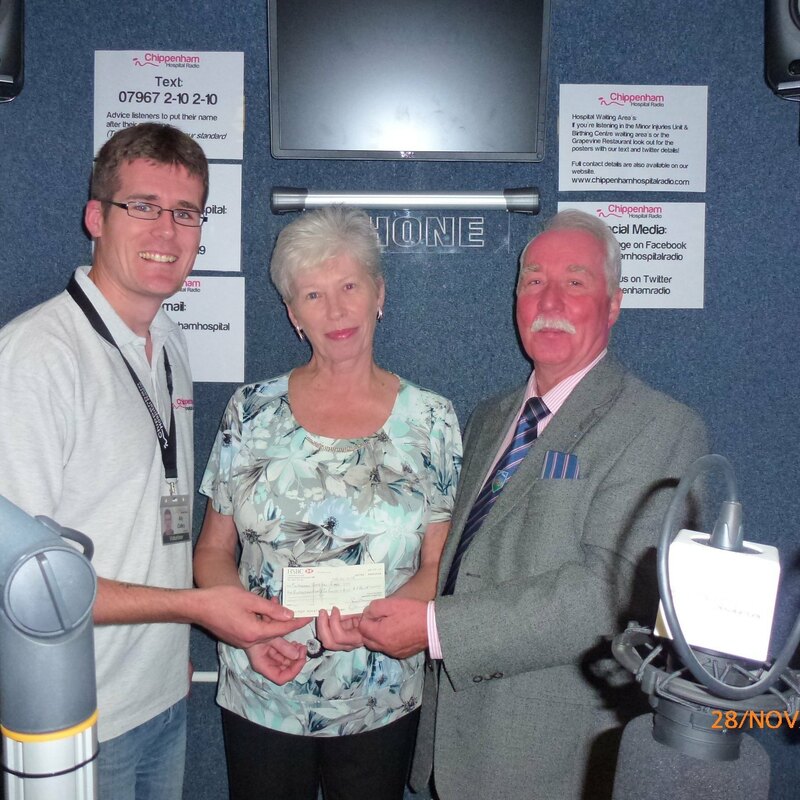 On Saturday 28th November, Ian Dunbar, the Master of the Vale of Avon Lodge and his wife Maureen, visited the studio at Chippenham Hospital Radio and presented a cheque for £586.18. This important service for hospital patients and staff, ongoing for over 20 years, is run by volunteers and funded entirely by charitable donations. Philip Bullock, Provincial Grand Master said "The work of the hospital radio is so important to patients on the wards, it provides a wonderful service and I am delighted the Lodge chose to support the radio team"